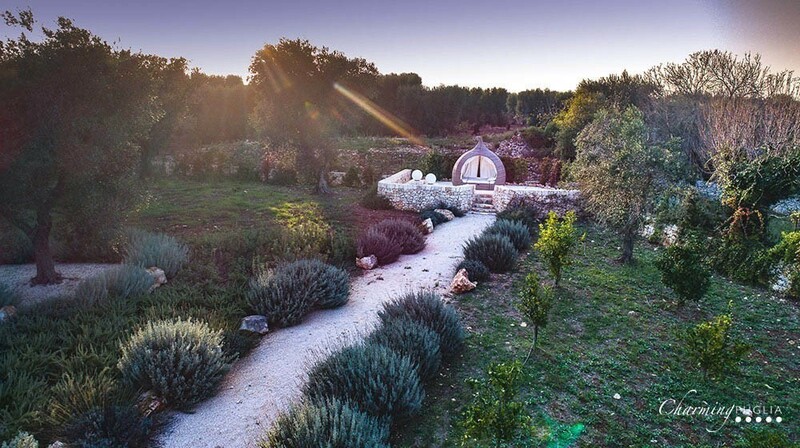 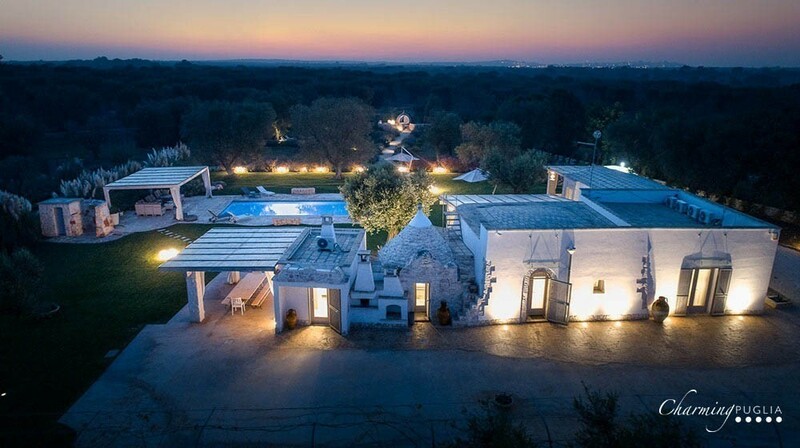 Trulli Itaka is a trullo (traditional local building with cone-shaped roof) set in the countryside of Ceglie Messapica, surrounded by fruit orchards and the characteristic olive groves of the Alto Salento. 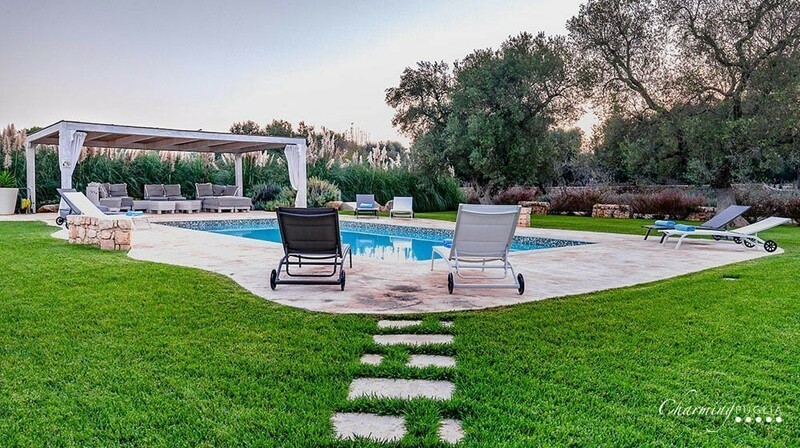 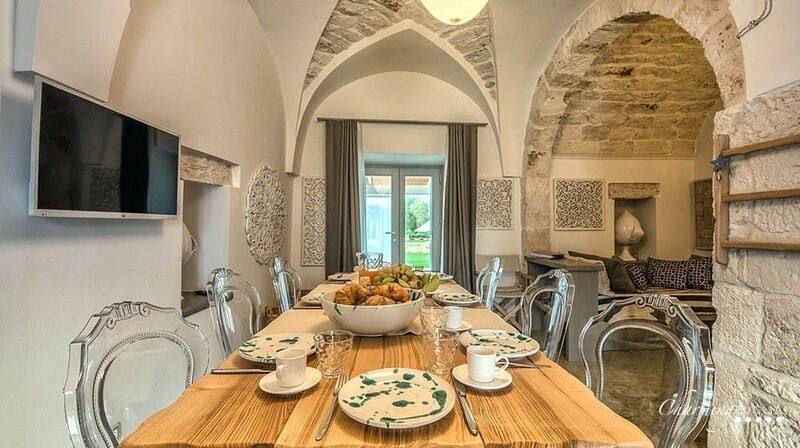 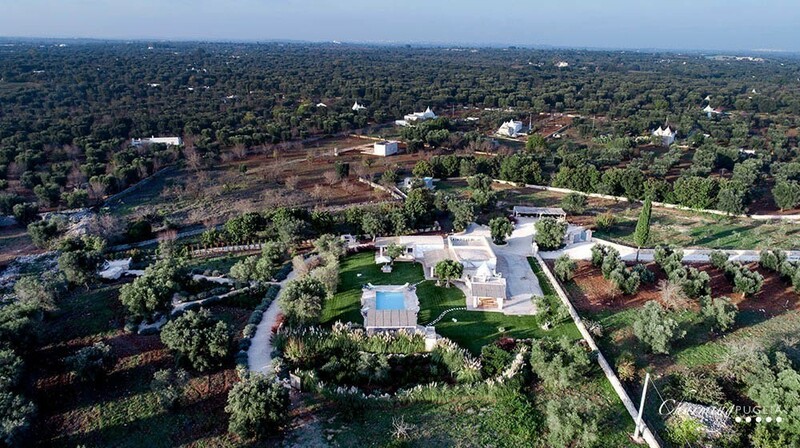 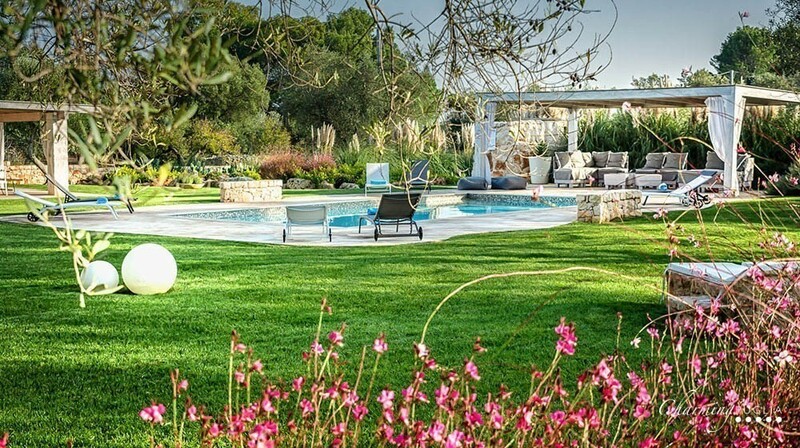 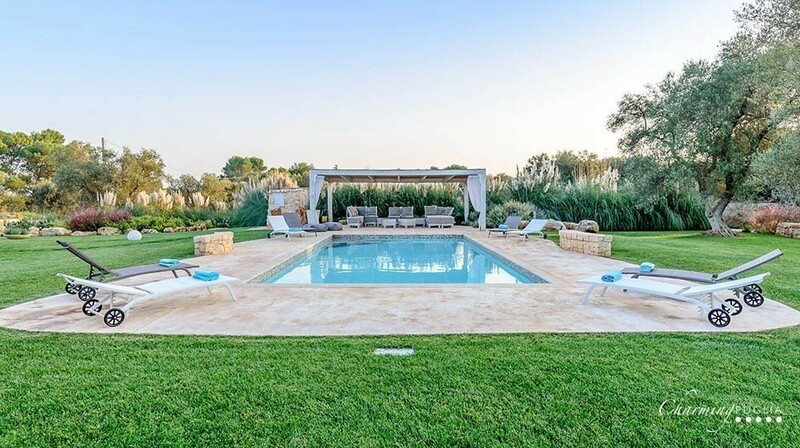 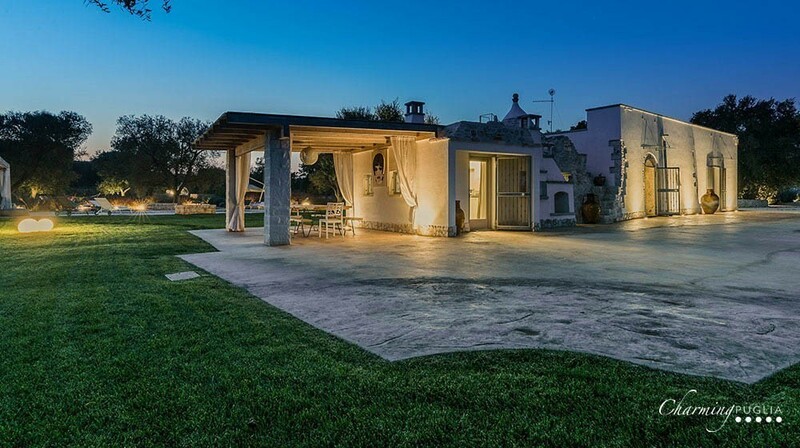 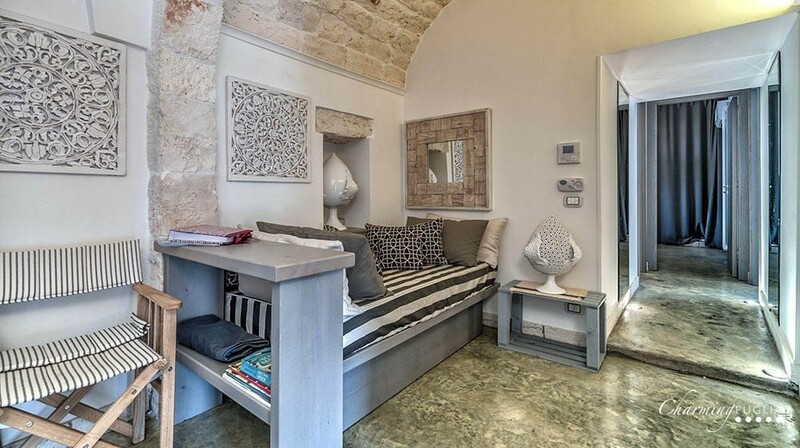 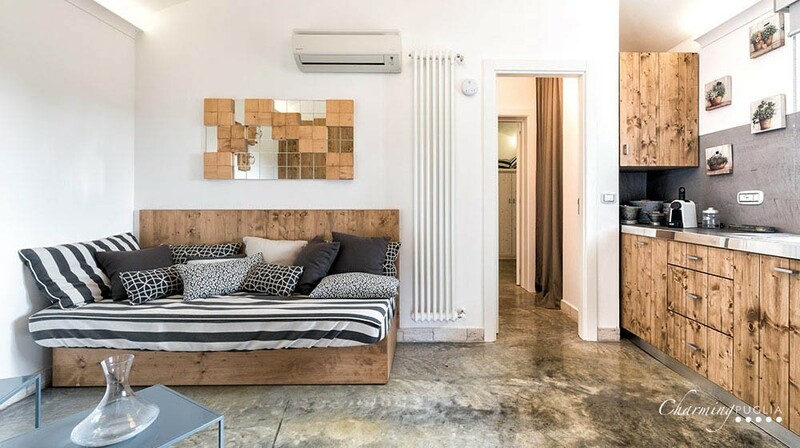 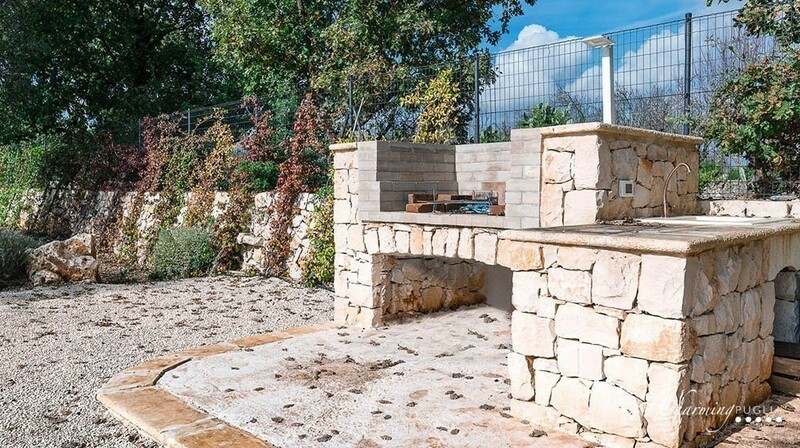 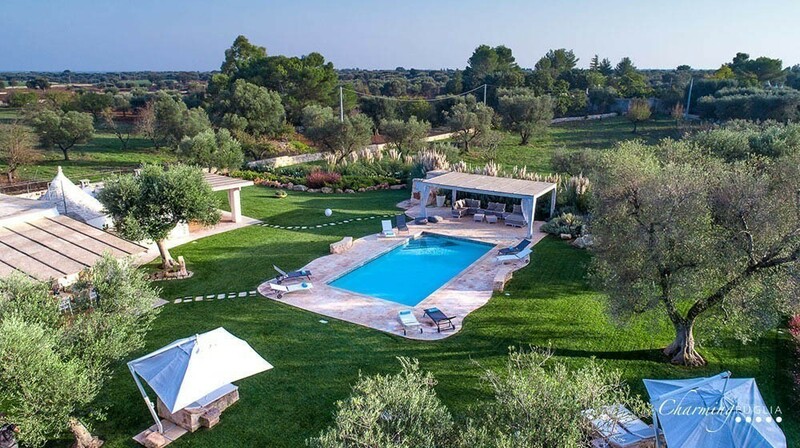 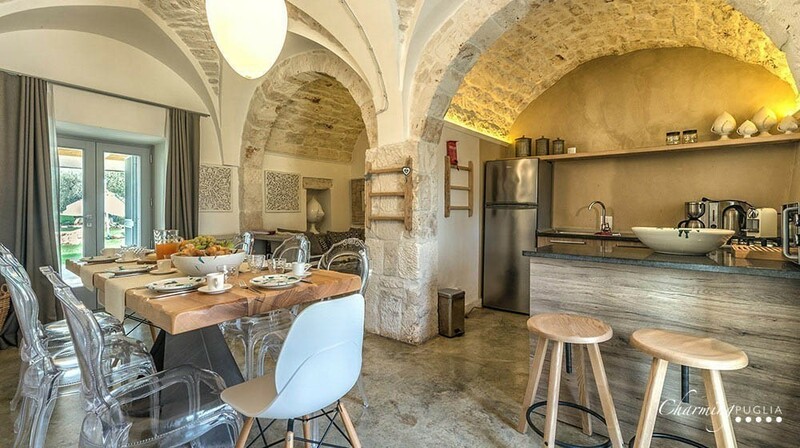 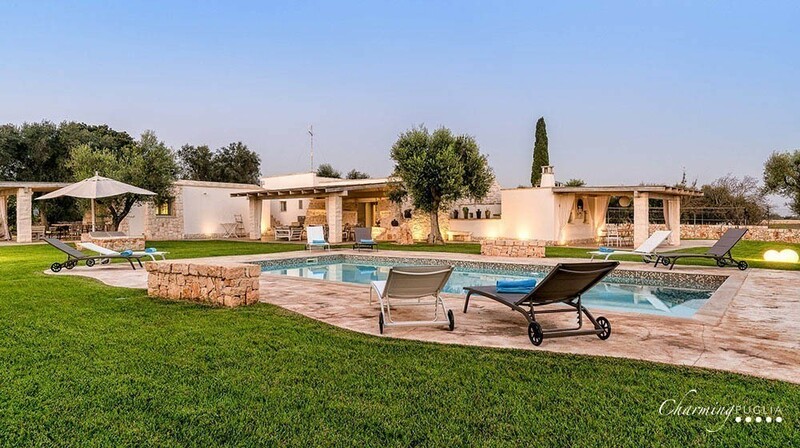 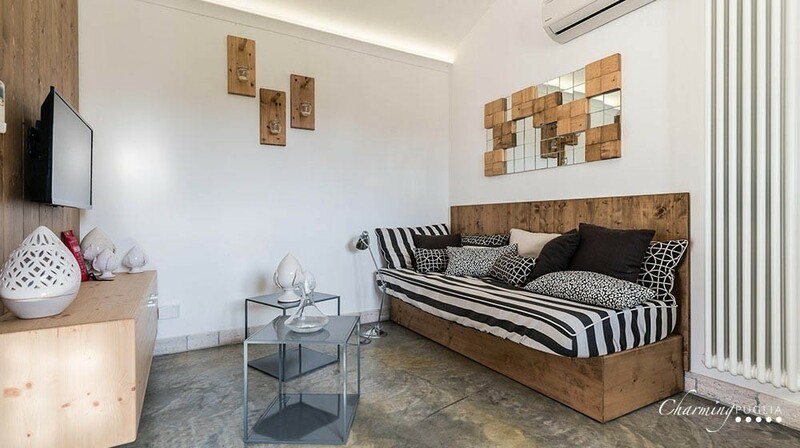 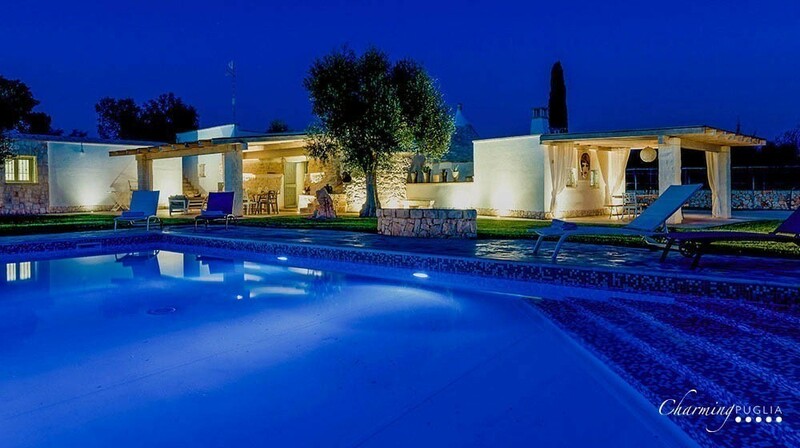 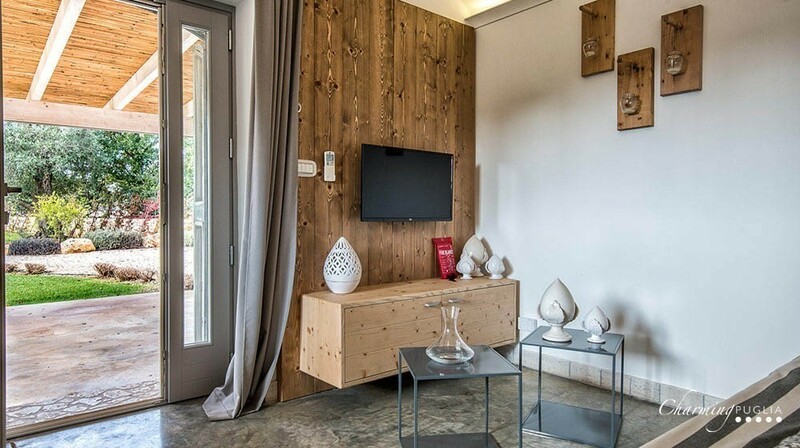 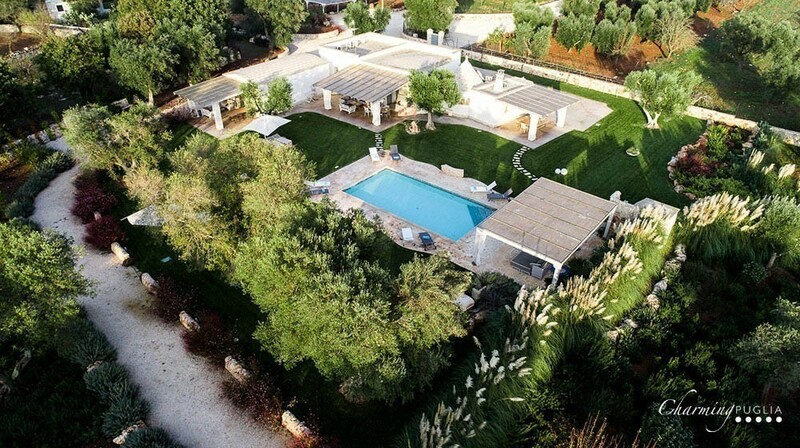 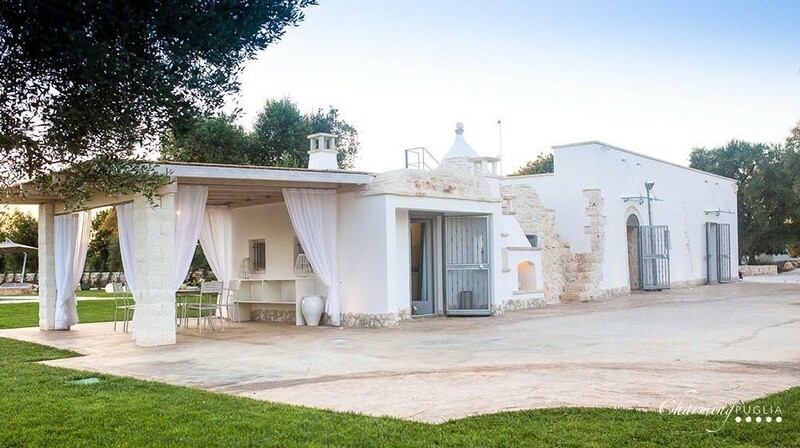 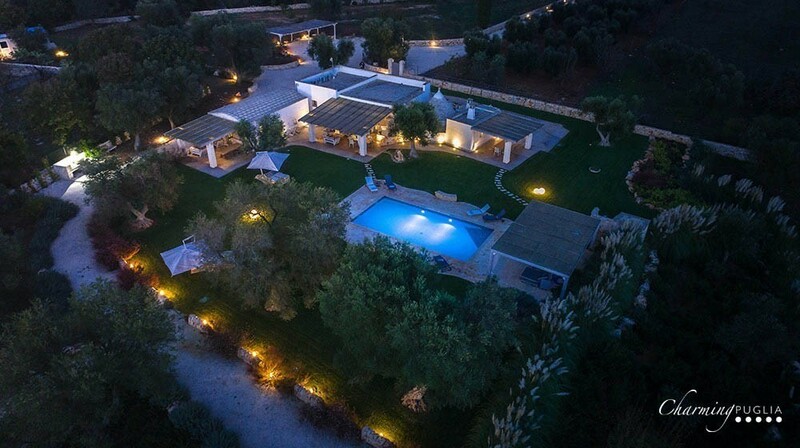 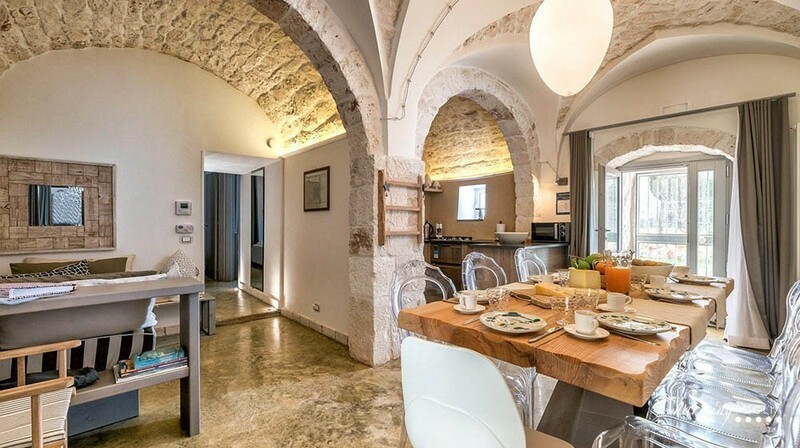 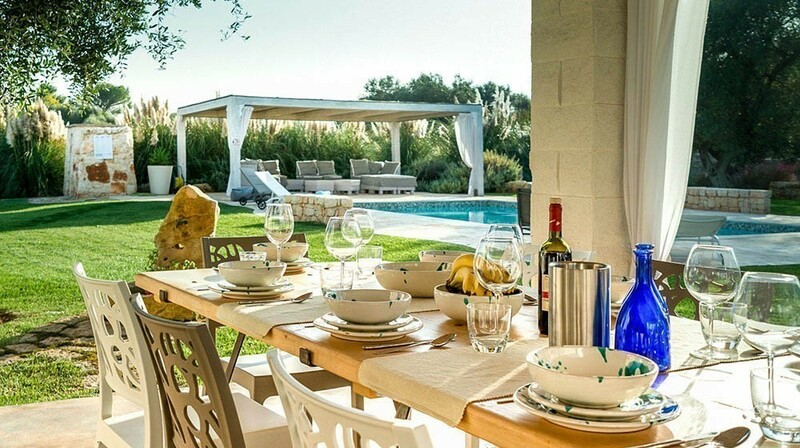 It consists of 4 bedrooms and 4 bathrooms; as soon as you cross the threshold of this charming trullo, you will find a welcoming open-space living room, plus a modern well-equipped kitchen. 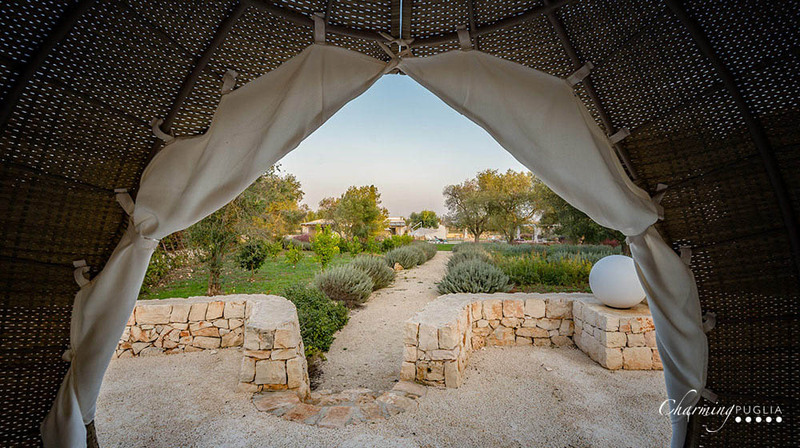 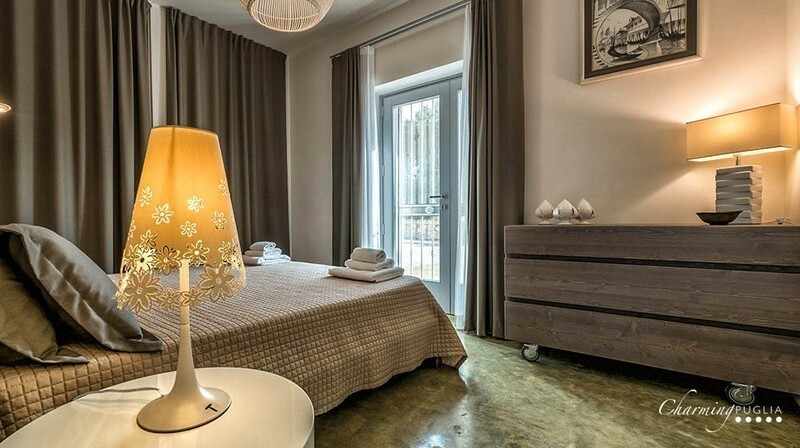 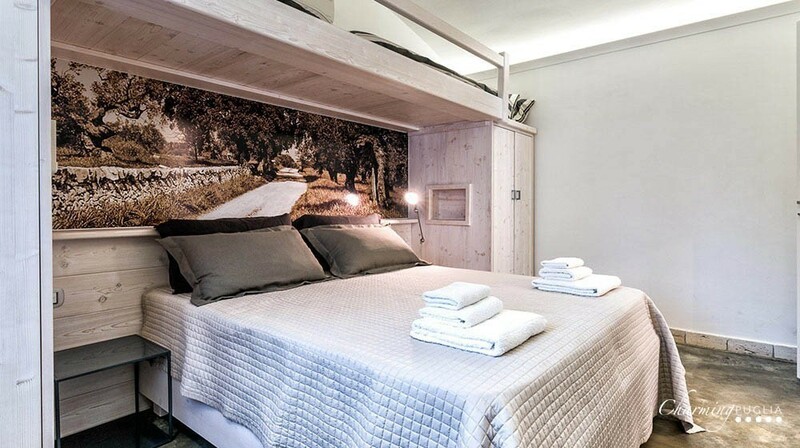 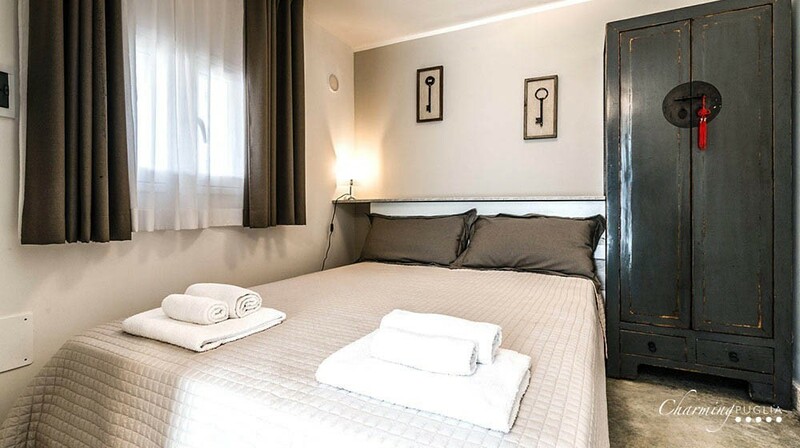 From the main trullo, you pass into two bedrooms, one of which has a king size double bed and windows opening directly onto the park. 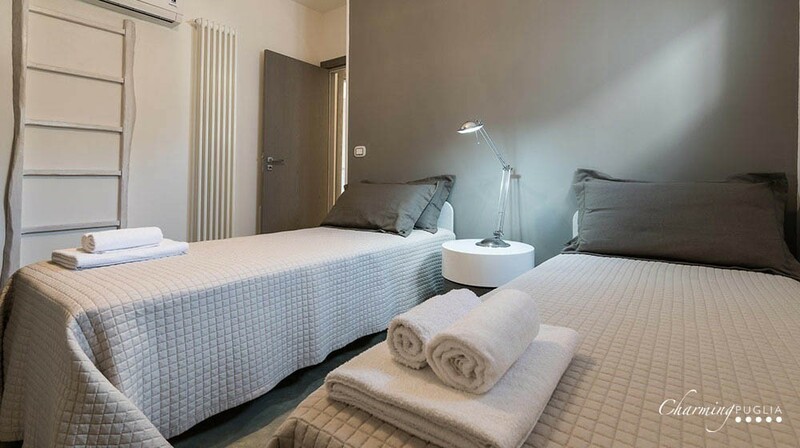 The other room, ideal for kids or teenagers, has two single beds. 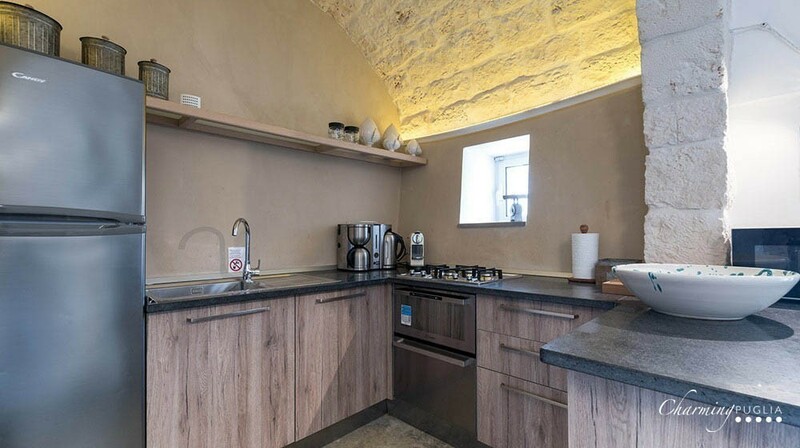 The two rooms share a stone-clad bathroom whose style adds to the traditional charm of the accommodation. 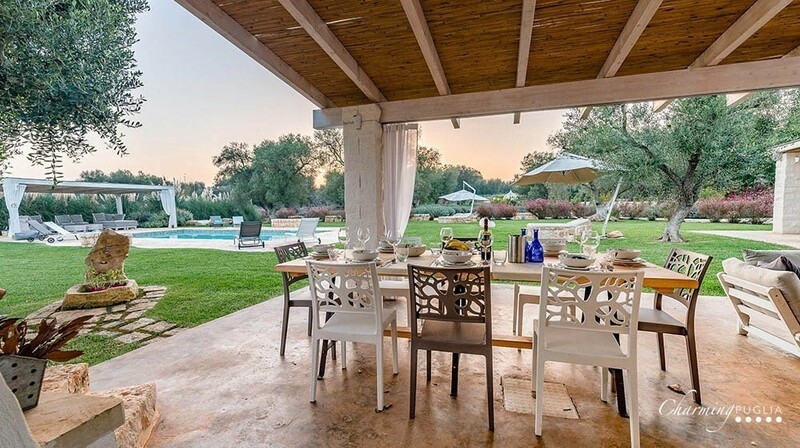 From the lounge, guests can access the garden by fine French windows looking out over the pool, with an array of sun loungers, and the large covered veranda, perfect for enjoying breakfast with an aromatic Italian coffee. 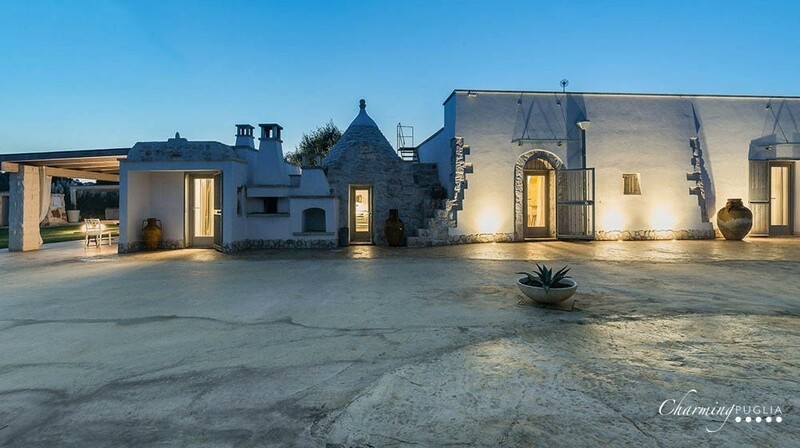 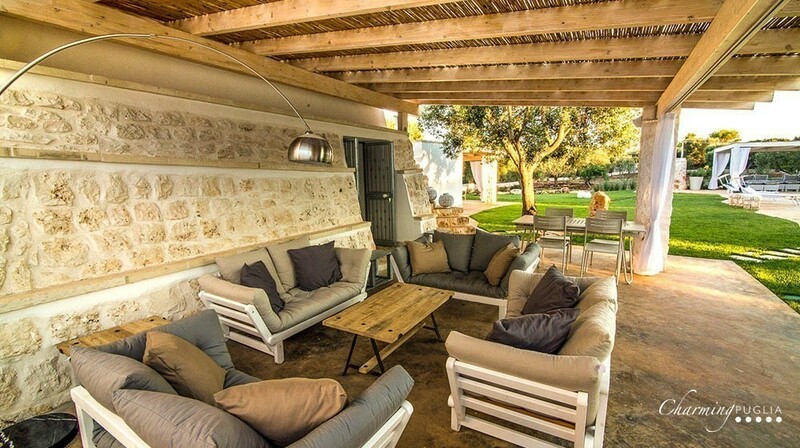 The other trullo has an independent entrance and consists of a kitchen and a large open space lounge area. 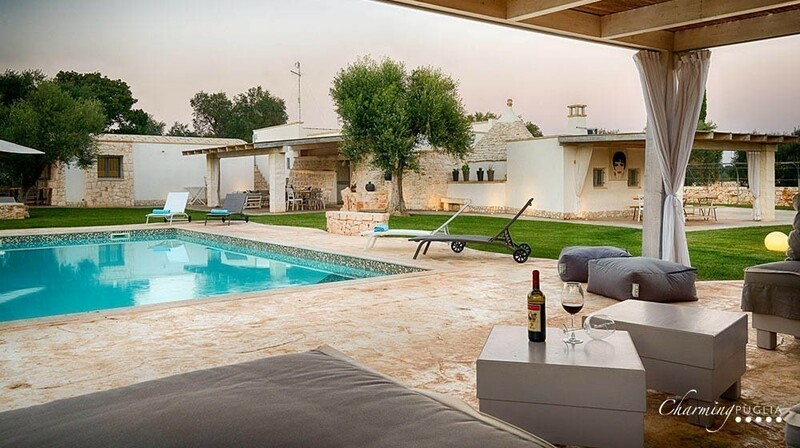 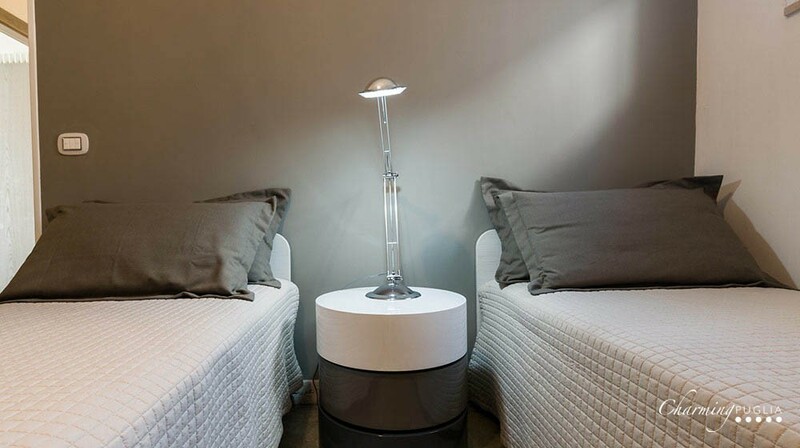 Due to its position, this is ideal for a couple, since it is completely independent. 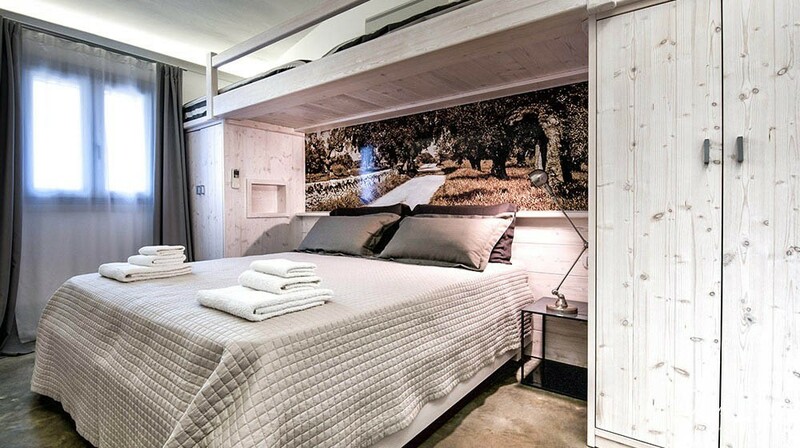 The other bedroom is perfect for kids and teenagers. 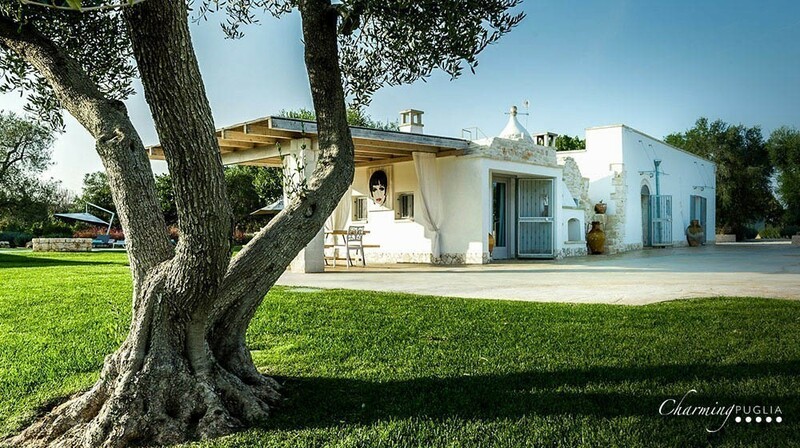 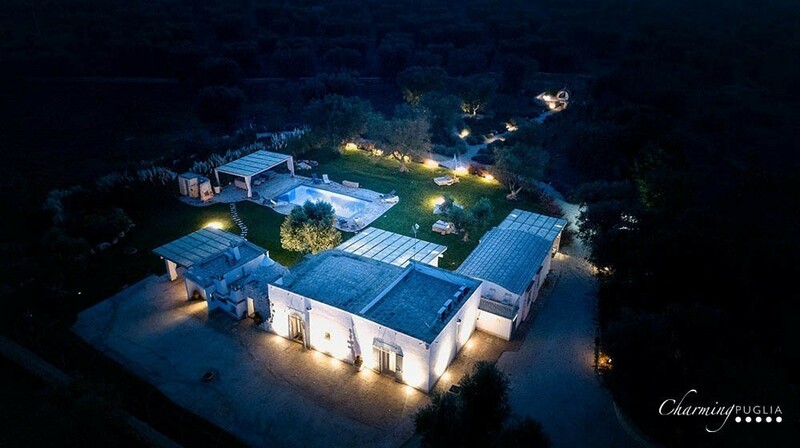 Just a short distance from Trulli Itaka is Ostuni while easily accessible by car are also the towns of Cisternino, Martina Franca and Alberobello.